DIY TV Antenna plans abound on the internet. Most of them are variations on the original Gray-Hoverman design. And while it has proven to be very effective in many instances, it lacks a certain cool-factor. And really, cool-factor is what you should be shopping for in an antenna anyway. Mainly because most antennas work pretty well across the board. This one not only looks nice on the wall, but you could probably paint something nice on the canvas to make it look even cooler. If you have a soda can and some wire lying around, this might be your best bet. In a classic case of tragic irony, this antenna builder used his old satellite dish to help him get rid of his satellite company. This one isn’t truly a home-built antenna, but it is a DIY project. It’s essentially a Mohu Leaf that has been made pretty. And it’s cool. Which is why it’s on this list. And there you have it. 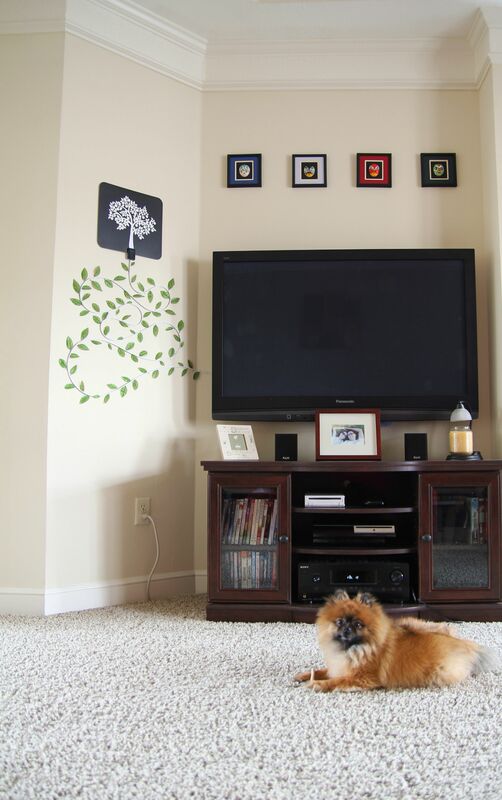 The 5 coolest DIY TV antennas. Period. I want to see the best outdoor antenna that is both TV and cell signal booster. I understand they are different frequencies, so it will be cool to see what people have done.